Within the dream of the dreamer, the one who was dreamed of awoke. One night, Yu Hao, a college student who was at his wits’ end had an unexpected encounter with a mysterious visitor – “General” – who had dream travelled. He led Yu Hao in solving the countless riddles that abounded in the realm of the conscious, and lit up the fire beacons on the meandering Great Wall. Thereafter, the darkness retreated, the sun rose, and when the long night was thoroughly lit up, the him who existed in reality was reborn. The black dragon that roared, the lighthouse and demonic eye on the coastline, the rain forest before Chichén Itzá, the fierce beasts that wreaked havoc in the Colosseum…the bizarre projection of reality in one’s consciousness reflected the hidden place that the sunlight in reality couldn’t touch – the innumerable sins of the human heart. The journey of seizing dreams continues, and one can only hope that the sun will continue illuminating the human heart. Fire beacons on the Great Wall were lit up to signal a border invasion. As the story progressed, my love for the MC grew. The plot and character development are amazing. SEIZING DREAMS IS SO!!!!! GOOD!!!!!!!!!!!! It’s a perfect mishmash of both fantasy and reality as it interweaves stunning dreamscapes with its corresponding representations in the real world. We start off with our MC (Yu Hao) facing an unfair conviction of stealing his student’s watch. Sadly, it wasn’t the first time Yu Hao had been accused of such a crime. But because of an accident and everyone’s distrust of him, he could not rid himself of the first accusation he faced in junior high. Coupled with the death of his grandmother,... more>> his only family that was left in his world, Yu Hao had lost all hope and thus decided to end his life. However, after he fell into a deep sleep during his suicide attempt, he woke up in a foreign place that looked... a lot like the Great Wall. And it was in this place that he met the one who brought light (sort of literally) into his world again — General. 1. The dreamscapes are visually stunning and can stand alone as worlds of their own with all kinds of funny places/creatures that reflect the dreamer’s fears in the real world. In each dreamscape is a totem that signifies the dreamer’s future hopes and dreams, and is the nucleus of the dreamscape. Thus, the main task of Yu Hao and General is to seize the totem back from the one who had taken it away (usually a manifestation of their biggest fears would have stolen the totem). When they successfully retrieve the totem, the sun will rise and everything in the dreamscape will be born anew. Meanwhile, they need to be careful not to die or be chased to the borders, or they’ll be at risk of falling into the unconsciousness and will never be able to wake up again. 2. Action. Yu Hao and General has to face all sorts of weird creatures in dreams that they’ll have to defeat in order to retrieve the totem. I almost died of asphyxiation cause I was holding my breath so much during their fights. 3. Interweaving dreams and reality. Whatever appears in the dreamscapes are intrinsically tied to the experiences and thoughts of the dream in real life, which makes for some very interesting links. 4. It tries to go deeper. There’s a lot of talk on psychological disorders and the human psyche in this. As someone who studied Psychology for my Bachelor’s, it’s interesting for me to see how the author tries to incorporate such elements into the novel (I don’t necessarily agree with the novel’s standpoint though). So this is also a trigger warning for people who can’t stand to see stuff related to suicide, personality disorders etc. 5. The characters. 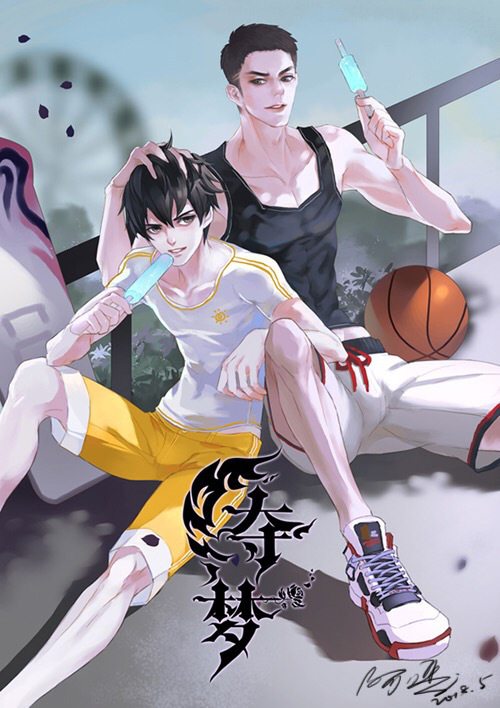 All the characters in this novel were represented very realistically and I fell in love with Yu Hao and gang. I especially adored the character development of Yu Hao as he courageously faced new challenges head on throughout the novel, and he's such a cinnamon roll that it makes me want to hug him through my screen. I freaking love ML too because he's actually a really perceptive and attentive person. Around the end of vol 1, I found out just how many of his 'insignificant actions' were actually done on purpose to help those around him, which was a pretty mind-blowing moment for me. Got into this through the audio drama. This is a work where you seriously need brain cells, dreams and the interplay with real life intersect too much here. Besides this, the lush scenery as depicted through the author's pen also deserves a mention! Glad that someone picked it up! I really like this story. There's a lot of psychology in this and they maybe not be accurate. The creativity the author creates on the dreamscapes is very interesting. Not only that the characters are alive. Both MC's are designed to promote growth. Yu was pressed by accusations that weren't true. He went into a coma and had a dream where he meets the general. He becomes the only light in his life. Coming back to reality where he regains the will to live. It's where the gears started turning and the... more>> moment where he becomes affecting other people's life. The general is also begun to change because of it. The dreamscapes are like arcs of world hopping genre where MC's go into the dreams of others. Those dreams are affected by the reality that those particular characters faced. The more impression or experience the characters faced in reality. The more danger the dreamscapes becomes. There are 4 volumes in total. Each volume marks a new chapter where the MC's began moving towards a new phase. The story is generally a mix of slice of life, action, mystery, and maybe depiction of cruelty. There is drama but it wasn't too much.